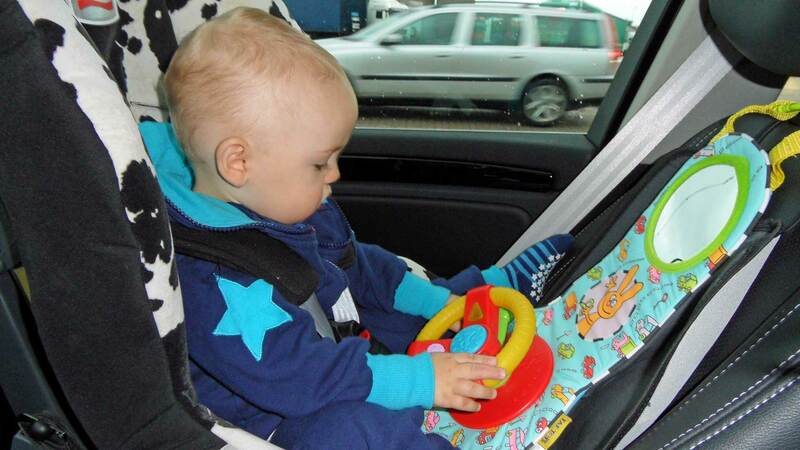 Many have fear for travel in a car with children. It can be intimidating with nagging, constant pee breaks and missed ferries. But to go by car with children is easy if you do like this. Here are the tips and this is how I did to manage a vacation as the only adult through Sweden, Denmark, and Germany. To begin with, what is the purpose of your trip? In this article, we will focus on going to holiday with a car. In an example, a journey for a funeral has fewer opportunities with flexible hours, overnight stays and so on. A holiday in a car with children should be more free to changes in plans. Depending on the child’s age they have different needs. I have therefore divided the packing list into two parts. I believe this is the foundation. Bring plenty of water in the car. It’s vital because you can always be standing on the Autobahn for hours on a hot summer day. I expect Sweden out of this article and instead focus on trips in Europe. With children, the car is easy to use for holidays because of all the space available. Babies usually require a lot of space for all the stuff. You can stop where you want, and you can reach many places that had been inaccessible by air. Below is how I chose to plan the journey. There are several reasons why I chose Germany as a travel destination. You will understand when you read further. As a father in Sweden, you are enforced to stay away from your work in 60 days per child. I had for a long time planned that I and the little one should go abroad. Now there was, of course, nothing that kept us at home, so we were free for real. Obviously, it would not be about to sit in a car all day. The baby certainly liked to go by car, so the required distances I was never worried about. I chose to plan some days for long trips but tried to make them as effective as possible. The trip was of course designed for the little one, but I also wanted to see something other than the four walls of my home. The journey began at Varberg Ferry Terminal in Sweden. The ferry leaves at 08 o’clock in the morning, so depending on where you live in the country, you can use the early morning hours to drive there when the baby is asleep. The playroom on the Stena Nautica. The baby slept all the way to the ferry, and after we drove on board there was a breakfast buffet booked. It was just to sit and the kid could easily help himself to get what he likes. 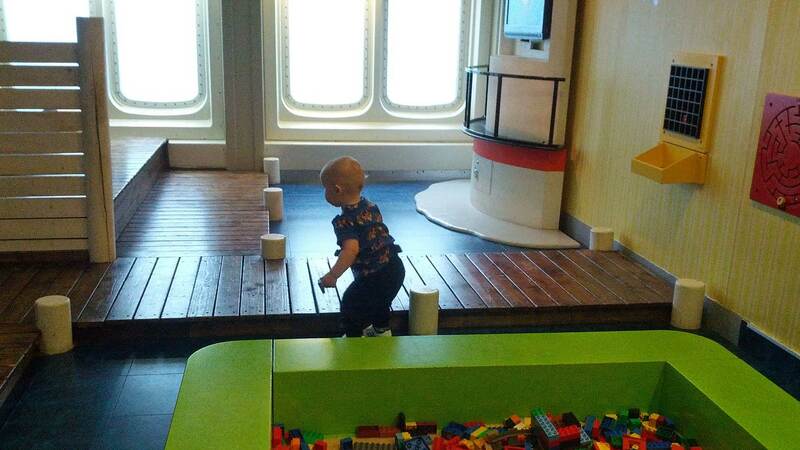 After breakfast, we had lots of time to spend in the playroom on the ferry. The ferry would take us to Grenaa in Denmark. 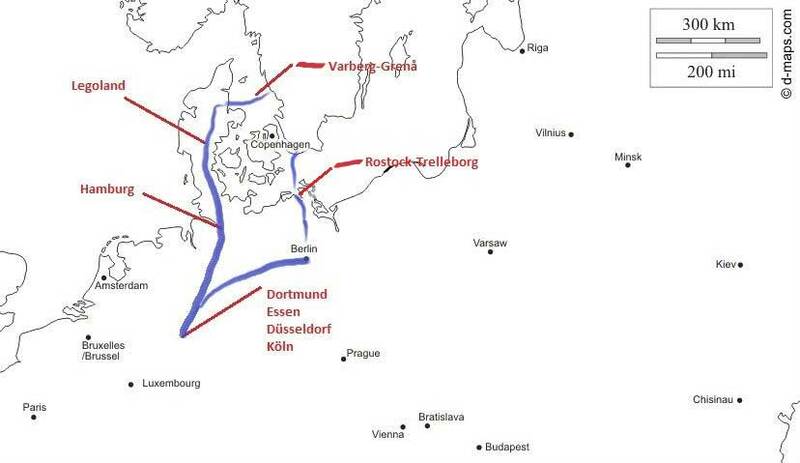 The shipping company that operates the route is Stena Line and takes about 4 hours. Just before lunchtime, we go ashore in Denmark, and the little one falls asleep due to all the play time. 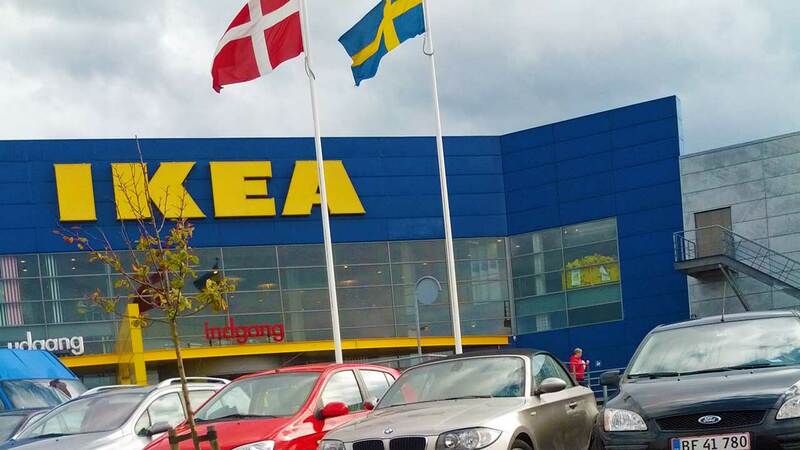 It’s almost time for lunch and therefore we set the course towards IKEA in Aarhus which is easily accessible by Europe Road E45. It’s a safe bet because they are known to they have both good food for children and a playroom. Moreover, it is gentle on the budget. After lunch, taken together with play and running at IKEA, it was time to proceed to our first overnight stay, a hotel just north of Hamburg. From Aarhus is about a 3-hour drive to Hamburg (3h 43 min if you drive 130km / h). Of course, several stops were planned. This route can admirably be split into two parts so that there is hardly no driving time at all. On the way south, in the town of Billund is Legoland which is a success for both big and small children. With impatient children an overnight stay is possible, but be aware that prices are very high. From Billund, it’s around 70 kilometers to the German border and the city of Flensburg. Directly after you crossed the border to Germany you are free to drive at any speed if the traffic situation allows. It is easy to shorten the travel time to Hamburg radically because of this. Rest and playing at the Autobahn. I had chosen to book a hotel north of Hamburg in the far distance from the center. This because I didn’t want to get stuck in the traffic jam in the evenings towards Hamburg. The traffic jam was something we had to take care off the next day. We had traveled by car and boat enough this day I thought. Today it was the route Hamburg – Ratingen, which went smoothly. Several large cities are located on the route, and speed records are not possible. Several stops were made at McDonald’s restaurants to use the playground. In Ratingen was the hotel we would stay for nearly a week, so after this date, it would be the end of the long car rides. At a hotel, you can mess around a bit. Ratingen is located in the middle of the throng of major cities that represents the Ruhr area, with a total of about 10 million inhabitants. Here, it is no problem to find fun things for children. From our hotel in Ratingen, we could reach all major cities in Ruhr are in 1 hour depending on traffic situation. We spent the following day with a visit in Oberhausen, where Europe’s largest shopping and experience center is situated. 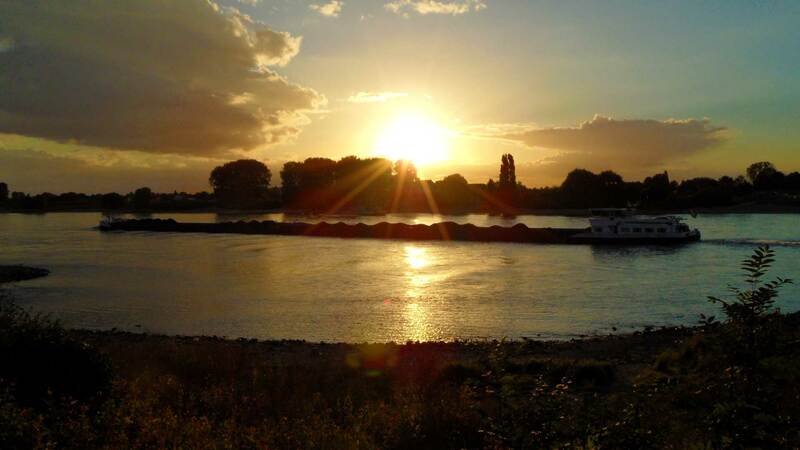 Evening walk at the river Rhine. 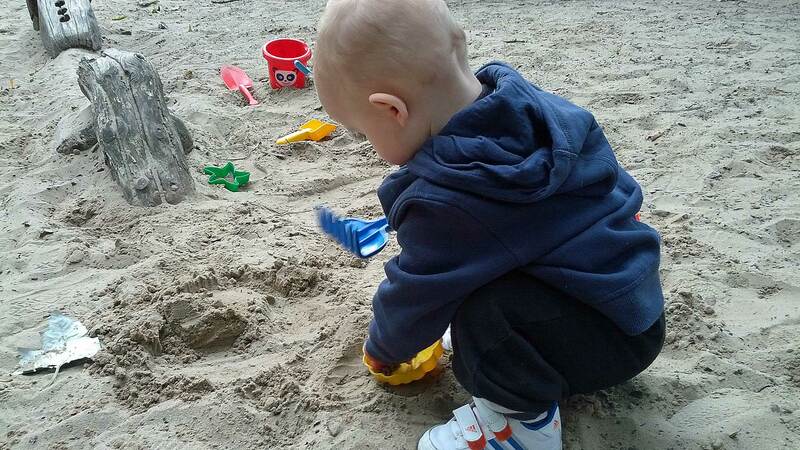 Upcoming days we tried different playgrounds in Dusseldorf, Dortmund, and Essen. One day was devoted to Cologne where the little one had to run around in the large square in front of the mighty cathedral. Toy Stores and nice parks we also spent much time in. And it was very exciting to ride the subway. We stayed at a 4-star hotel with breakfast buffet. 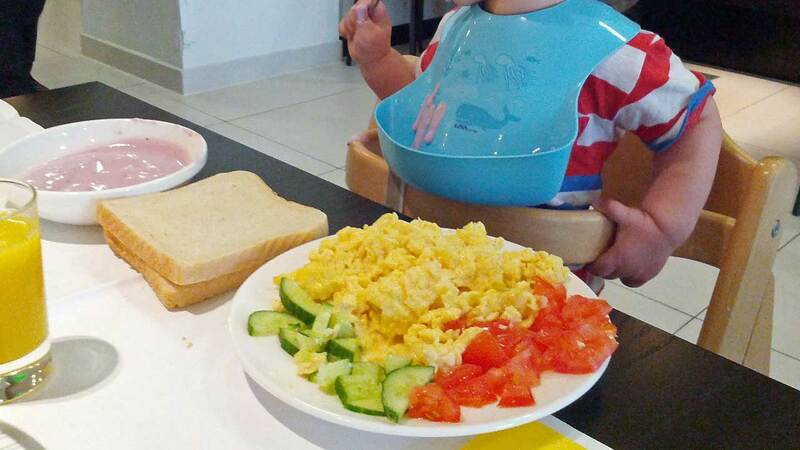 The child didn’t complain when he could to eat fresh vegetables and omelet for breakfast. As a parent, it is extremely easy to arrive at a set table and also avoid to clean up afterward. Hotel breakfast for the little ones. 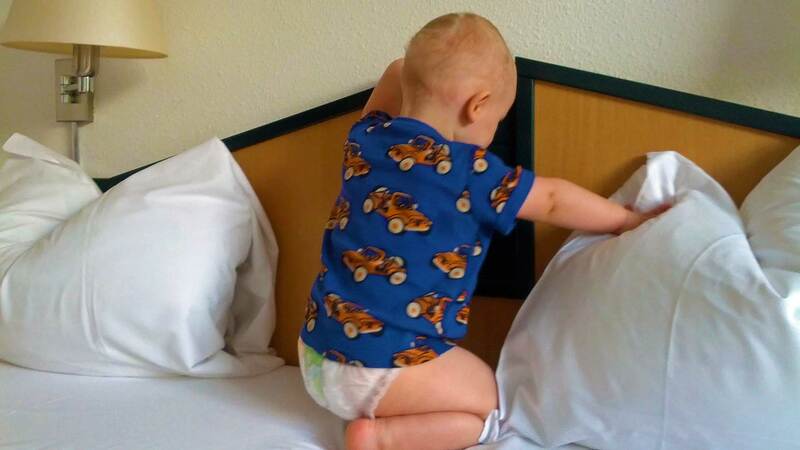 Hotel rooms are fun for children and parents can relax a little more. Most rooms are quite sterile and not so much they can get hurt on. In addition, they are cleaned every day, so you can actually have a meal in bed or any other mischievous. Here could you as a reader chosen to continue south instead, if you drive to France or Spain. Today it would be a longer distance of 560 kilometers. The route for the day was Ratingen – Berlin, with multiple stops and attractions planned. We would also drive some minor roads in periods to avoid the Autobahn. A 560 kilometers drive with children may sound a lot, but most of the route has no speed limit so with a little bit of luck, it goes fast. Everything went well until Hannover where traffic thickened. We took several chances to rest, and later the traffic flows freely again. We made our scheduled stops. At 5 o’clock PM we arrived in Berlin’s outskirts. Arriving in Berlin at this time might not be that good, but the little one took the opportunity to take a nap in the car before it was time for dinner. After about 2 hours of queuing, we arrived at the hotel, where we ate and played. 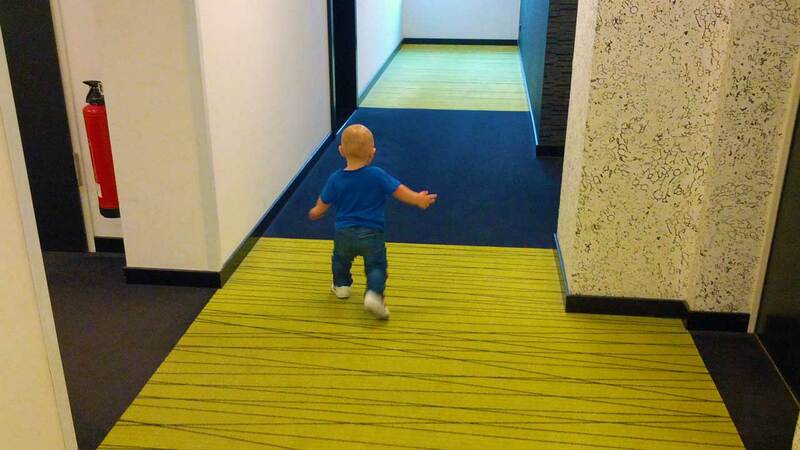 Let’s run off some energy in the hotel corridors. 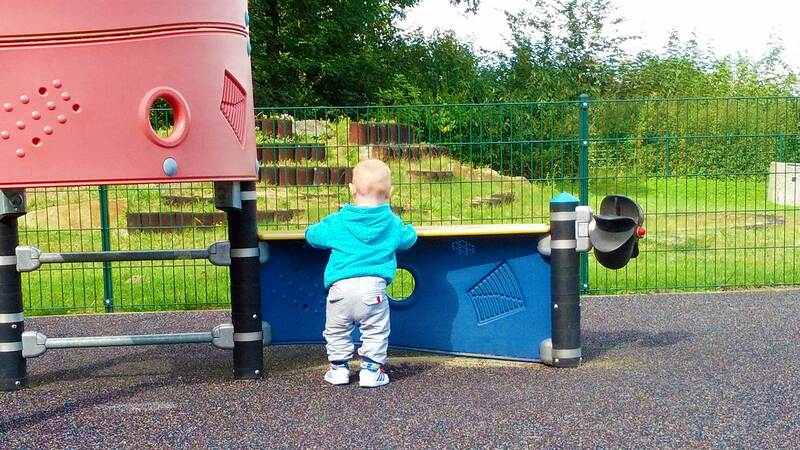 When I travel with children I always reserve either very large hotels with a range of children facilities or hotels beautiful situated so you can play in forests or parks. Berlin really has everything. I usually try to stay a few days a year in Berlin because there are so much to discover. Abandoned buildings and history are what interests me, but this time everything got to become on the baby’s conditions. Full speed in Berlin’s playgrounds! Before traveled, I checked addresses and noticed cool playgrounds. Even a visit to the Berlin zoo (Tiergarten) is recommended. Kids of all ages like animals. 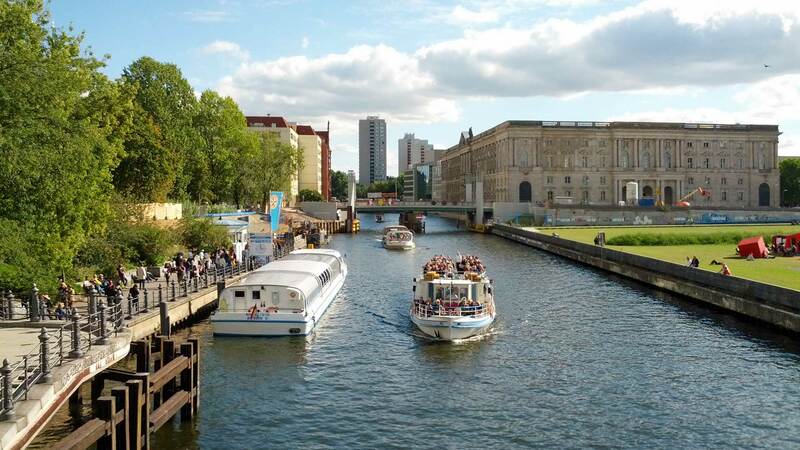 Or maybe a boat trip on the Spree river? Boat trip on the Spree. We had access to the car all week, but it was left at the hotel. Berlin has a superb public transport system with trains, trams, metro, and buses. With the tram, suburban train (S-Bahn) and underground (U-Bahn), it is extremely fast to travel between different neighborhoods. Many children also think it’s exciting. 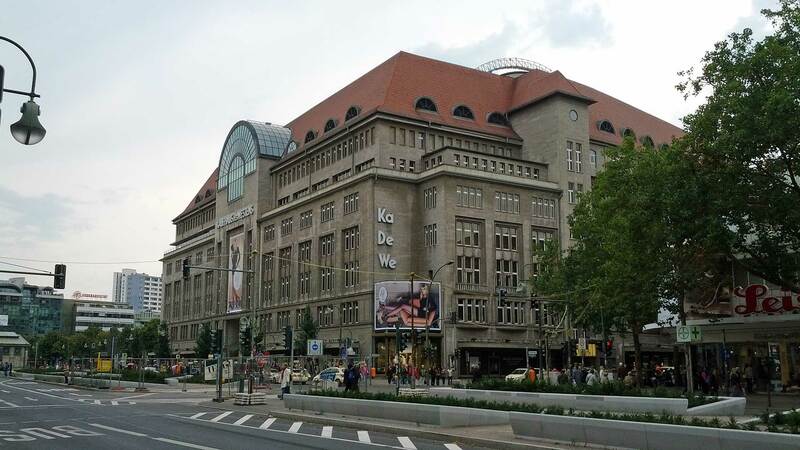 Furthermore, we visited some interesting stores, went and looked in the counters of KaDeWe, Kaufhaus des Westens, which offers Berlin’s most exclusive shopping. 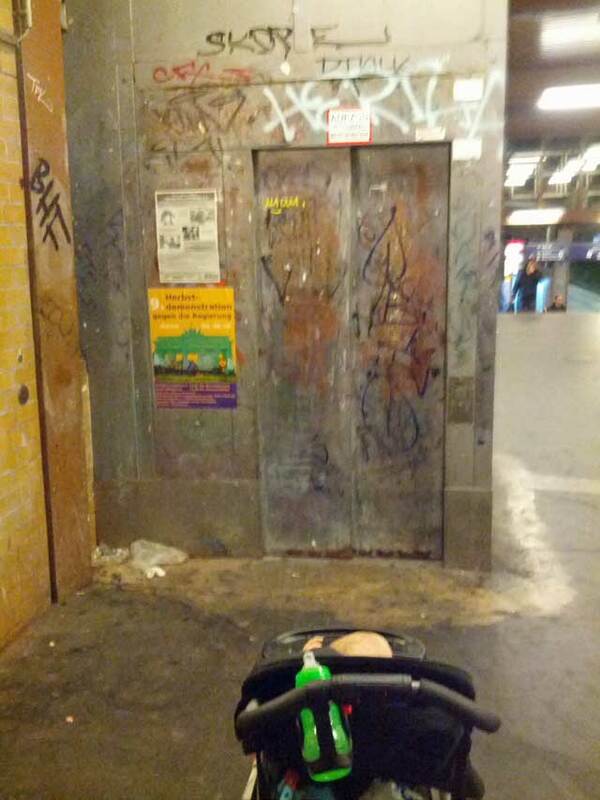 In the center of Berlin, it is no problem to get around with a stroller. The sidewalks are wide and the elevators are always close to the stations. Just once, the elevator was broken. Some elevators can be quite vandalized. When the elevator didn’t work, people quickly came to ask if I needed help to lift the stroller down the stairs, even though I am a male. Thumbs up! Now it was time for us to drive back home. Do you have a few more days, I can recommend a visit to the Tropical Islands, located 60 kilometers from Berlin. Today the route was Berlin – Rostock. This didn’t concern me not at all. Traffic is relatively sparse in northern Germany. The distance is about 230 kilometers, and when you are out from Berlin ring road “Berliner Ring”, there is no speed limit. Made several stops at rest areas, and a quick visit to the Scandlines Border Shop where he was happy to drive the shopping cart. The boat would leave at 3 PM, and despite the many stops for rest, we had plenty of time. After the border shop, we rolled towards the harbor. The crossing to Trelleborg takes 6 hours. Plenty of time for food and play! 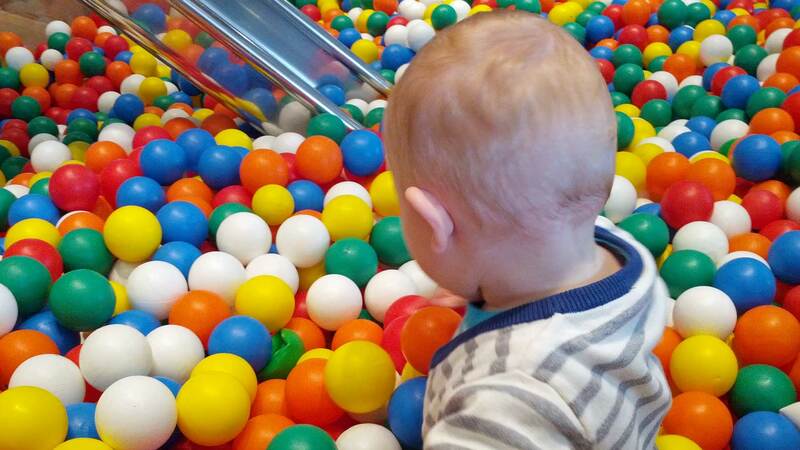 On the Stena Line boat was a ball pool and a slide which immediately became very popular. The ball sea between Rostock-Trelleborg. When we played in about 4 hours, he became tired and later on, it was time to get in the car and drive for a few hours. Close to the night, we were back at home, and the little one was moved from car seat to bed and wake up happy next day. What do you think about travel in a car with children? Previous article Wild Street Dogs In Bucharest – Why? Do You Know The Ruhr District With A Population Of 10 Million?